Upcoming Event – Boats, Bucs, & Brews! It’s heating up, and so are the events in Pittsburgh this summer! Fleet Feet Sports, a local retailer dedicated to premier running attire, is hosting an event ready for sports-loving Pittsburghers, Pirates fans, and anyone who enjoys a good beer or two. The Boats, Bucs, & Brews event is coming to you Tuesday, June 19th at 6 PM! Fleet Feet has partnered up with Workhorse Transport & Outfitters and Rivertowne Brewing Co. for a Pittsburgh summer event mixed with something for everyone looking to shake up their evening. Everything starts off with a 5k or 10k run along the scenic North Shore Riverfront Trail. The popular river path makes for an ideal running scene with the cool breeze off the water. The next portion goes full aquatic. Attendees will have a chance to paddle around the Allegheny River in a kayak, catching some beautiful, late afternoon sunlight. From the river, you can enjoy the Pirates face off with the Milwaukee Brewers. It’s a two-in-one Pirates event of the summer! Buccos and beer is always a Pittsburgh summer classic. After all that excitement, kick back on the outdoor patio space at Rivertowne Brewing right here in the North Shore! Cold, local brews are waiting for you this summer evening at a discounted special for event attendees. Can you think of better way to relax and watch the sunset through the Pittsburgh skyline? 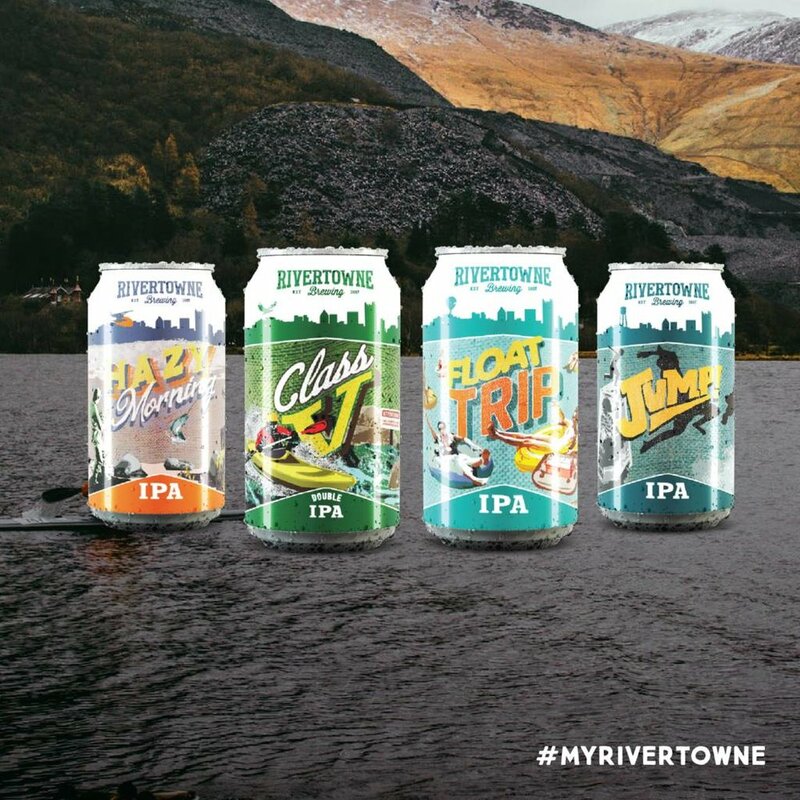 Rivertowne now has a wide variety of summer-themed beers. Refreshing citrus and tropical flavors are sprinkled into specialty ales. Make the run a little more fun and stop in before the event for Rivertowne’s happy hour starting at 5 PM. Enjoy a menu of half-off appetizers or some more local beers to try. Registration is $25 for the Boats, Bucs & Brews event. To register, check out the Fleet Feet’s website, here! Fleet Feet Sports Pittsburgh location provides the greater Pittsburgh area with incomparable knowledge and customer service to help anyone find the right shoes, clothing, and accessories for their running, walking, and even standing needs and goals. We offer training programs from a Couch to 5k all the way to a full Marathon. We also have a bi-weekly running club that is open to everyone. At Workhorse Transport & Outfitters, we rent kayaks, canoes, tubes and paddle boards with transport services. We also offer bike rentals, bicycle transport and guided bicycle excursions on the rail trails. On the weekends, Friday, Saturday and Sunday we will be in Armstrong County/Rosston offering bike trips up the Armstrong & Redbank Valley Trails and kayak and tube trips on Crooked Creek and the Allegheny River. During the weekdays (Monday to Thursday) kayak rentals will be available at Canonsburg Lake, Peters Lake Park, Cross Creek and at Paradise Beach on Neville Island. Bike Transport will be offered on the Montour, Panhandle and other local rail trails.